Here are some horses we have had the pleasure of owning. Some have moved on to new homes and some have pasted on. 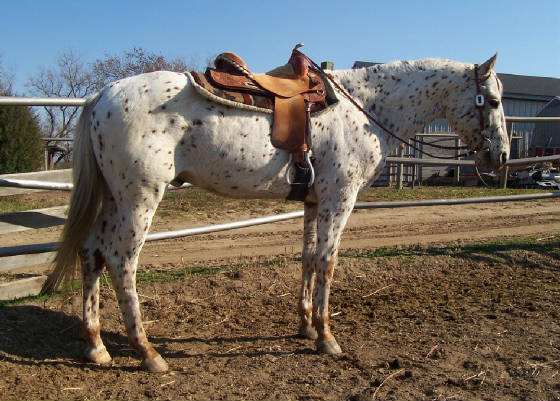 2007 Chestnut Few Spot Filly by "VS Wills Reward"
2008 Bay Colt w/spots on hip by "Stormn Too The Topp"
2009 Few Spot Colt by "Maraschino Cherry". 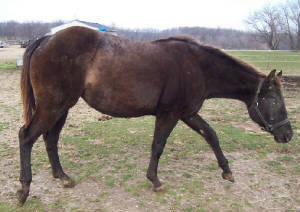 2010 Chestnut Filly w/characteristics by "Two Drinks Ya'll". "Prince Shannon", out of "Barretta Bright", both were highly respected Shedak Ranch bred and raised horses. "Shannon's Shadow" aka "Piggy" has produced 2 very nice foals for us. In 2004, she produced a Grulla Colt by "Stormn' Too The Topp", this colt is in New Mexico being used as a trail mount and life time friend. In 2006, "Piggy" produced a super nice Halter filly - "Shannon's Spicey Lady", this filly has done well on the ApHC circuit and qualified for the World's Show as a Yearling & 2 Yr. Old . 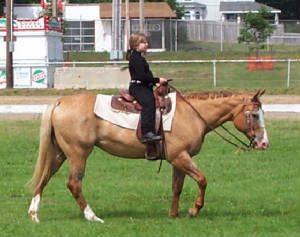 "Cherry" has produced a variety of foals for us and others over the years. I have a daughter of "Cherry" who is running consistant 2-D & 3-D times in Barrels. Other offspring have gone on to be western pleasure, dressage, trail & parade mounts. 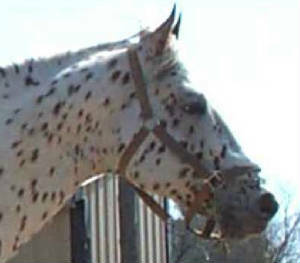 "Peppy" was laid to rest on 12/28/08, due to unknown complications.